Everyone loves some kind of music. 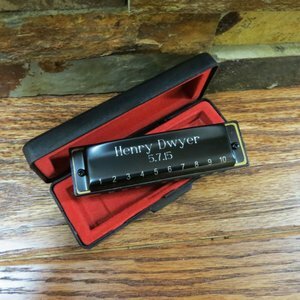 This beautiful black Black Hohner personalized Harmonica is a great Musical gift that can be engraved with a special message. Makes a great gift for kids adults, wedding Ringbearer and birthdays. It comes with the black padded box for safe keeping.